Mister Fluffykins is lucky to be alive after being hit by a car. 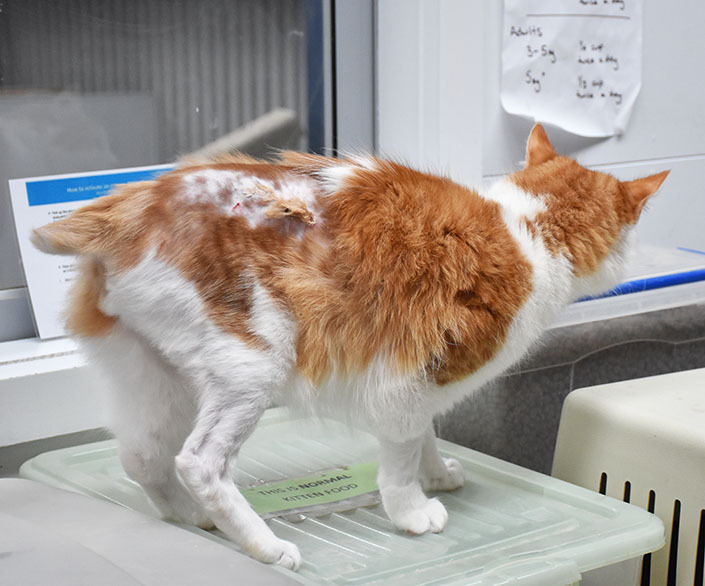 The stray moggie came to us in September, suffering a fracture to the hind leg, along with severe trauma to his tail. “Mr Fluffykins also had thick grazes down his leg,” said Amanda, cattery coordinator at the Home. Wanting to relieve his suffering and give him the best possible outcome, our vet team wasted no time tending to his painful injuries. Using surgical plates, they repaired his fractured leg. But, his tail was so badly damaged that the tissue became necrotic, meaning the tail had died. Unfortunately it had to be amputated during surgery. Following his surgery, Mister Fluffykins spent a month in foster care, allowing him to recover in a nurturing home environment. 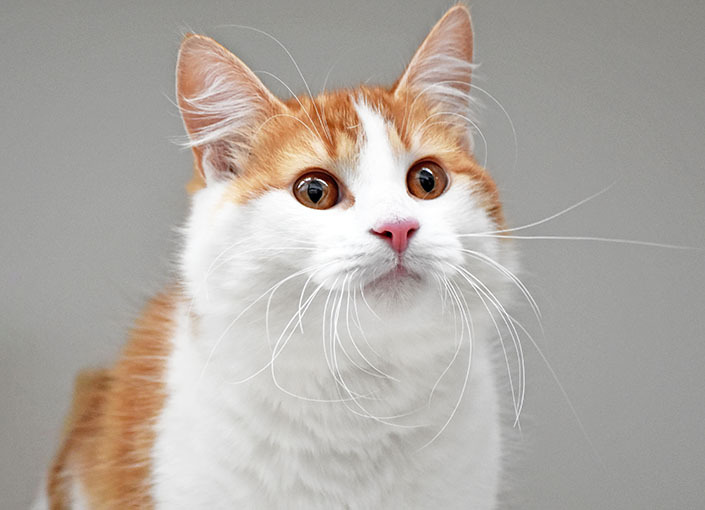 Despite his ordeal, Mister Fluffykins is a bright and bubbly cat, and he’s now ready to find a new home. “Mister Fluffykins is really affectionate and loves pats, but prefers to keep all four paws on the ground,” said Amanda. “He’s very active and likes toys, particularly ones he can throw around and chase. He would be suitable for a family with kids. Mister Fluffykins enjoys lots of interaction and having someone to play with him and his toys. “He likes to explore and pays more attention to his surroundings, rather than other cats. Can you offer a special home to a special cat? Mister Fluffykins (ID 1017844) is up for adoption at our North Melbourne shelter. Meet him today!